DrivingSales today announced that former U.S. Navy SEAL Officer and decorated combat veteran, Leif Babin, has joined the keynote line-up for the fifth annual DrivingSales Executive Summit (DSES). Babin is the founder of Echelon Front LLC, which offers leadership training based on proven practices by U.S. Navy SEAL Teams. His DSES keynote, “Dominate Your Battlefield! Develop Your Team to Win in Every Situation” will provide DSES’s dealer attendees with key tactics for developing training and leadership programs for diverse teams within their store. Babin joins a line-up of insightful and inspiring keynotes from innovators inside and outside the auto industry, including global search marketing authority Danny Sullivan and The Walt Disney Company® – all offering implementable practices for issues critical to dealerships. The DSES will be held Sunday, October 13th through Tuesday, October 15th, 2013 at the Bellagio Las Vegas. Deployed three times to Iraq, Babin’s combat decorations include the Silver Star, two Bronze Stars and a Purple Heart. Babin is a native of Southeast Texas and a 1998 graduate of the U.S. Naval Academy. As a SEAL Platoon Commander during a historic combat deployment to Ramadi, Iraq in 2006, he led some of the heaviest, sustained urban combat operations in the history of the SEAL Teams. He then ran leadership training for all officers graduating through the SEAL pipeline, where he reshaped SEAL leadership training for future generations of SEAL leaders. Babin also served in senior executive positions as Operations Officer and Executive Officer of a SEAL Team. In 2011, Babin left active duty and founded Echelon Front LLC, a consulting firm specializing in leadership training, high-performance team building and crisis management. 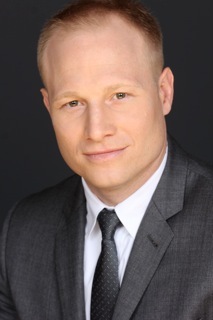 Babin’s editorials have been published in the Wall Street Journal and National Review and he has appeared on a variety of television news and radio programs on national security issues. He is a National Security Fellow at the Foundation for the Defense of Democracies, a non-partisan institute focused on national security, counterterrorism and foreign policy research. Additionally, Leif serves on the board of directors of the Little Warriors Foundation, a nonprofit organization dedicated to helping the children of fallen and severely wounded U.S. Navy SEALs. He remains a Lieutenant Commander in the U.S. Navy Reserve. Each year the DrivingSales Executive Summit automotive conference sells out. Tickets are still available at http://drivingsalesexecutivesummit.com/registration/. For more information about the DrivingSales Executive Summit and to register, visit: DrivingSalesExecutiveSummit.com or contact dses(at)drivingsales(dot)com. Stay tuned for DSES news as it develops on http://www.twitter.com/drivingsales and on facebook.com/drivingsales. Participate in the conversation with the #DSES hashtag as preparations continue throughout the year. The DrivingSales Executive Summit is where the most progressive dealers gather to collaborate and learn forward-thinking trends in automotive operations. DSES features world-renowned experts on marketing, technology and retail operations from inside and outside the industry, who provide the most valuable and actionable insights for today’s dealership professionals. The DSES agenda is dealer-driven, ensuring the content is 100 percent focused on the needs of progressive dealers. Only the top 10 percent of speaking applications selected by DrivingSales members make it on the agenda. DrivingSales is a professional network serving the auto industry with dealer-driven news and information, online training, and performance data, all to enable dealers to make critical business decisions at their dealerships. DrivingSales’ mission is to connect progressive dealership professionals to the people and information they need to maximize their success. DrivingSales announced that former U.S. Navy SEAL Officer and decorated combat veteran, Leif Babin, has joined the keynote line-up for the fifth annual DSES.